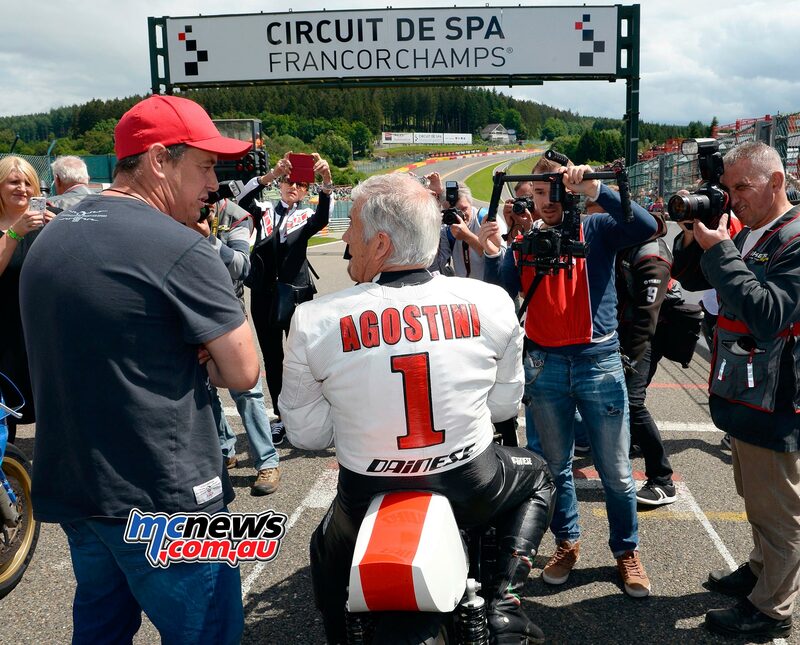 Yamaha Historic Racing Team’s Giacomo Agostini, Christian Sarron and Hubert Rigal revved the hearts of many motorcycle fans on July 2nd-3rd at the Circuit de Spa-Francorchamps in Belgium for the ‘Biker’s Classics’, the biggest classic bikes meeting in Europe. 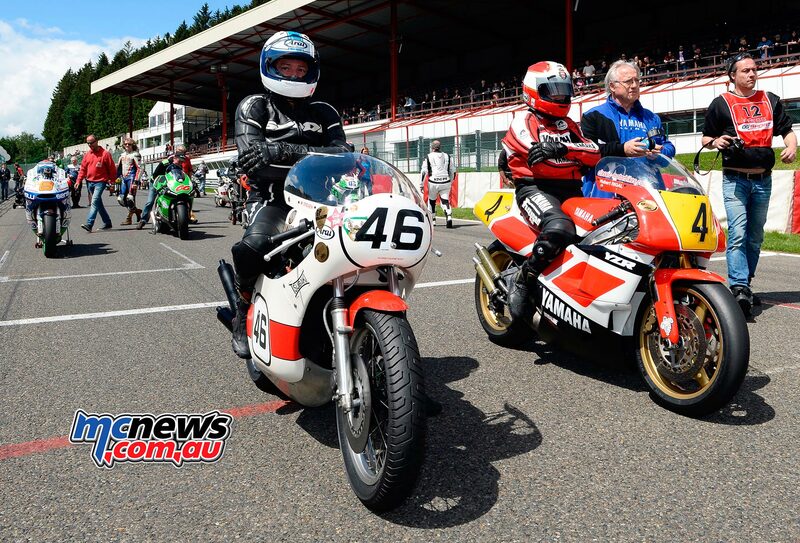 The interest in classic bikes only increases, and the great attendance to last weekend’s Biker’s Classics 2016 event in Spa-Francorchamps proved it. 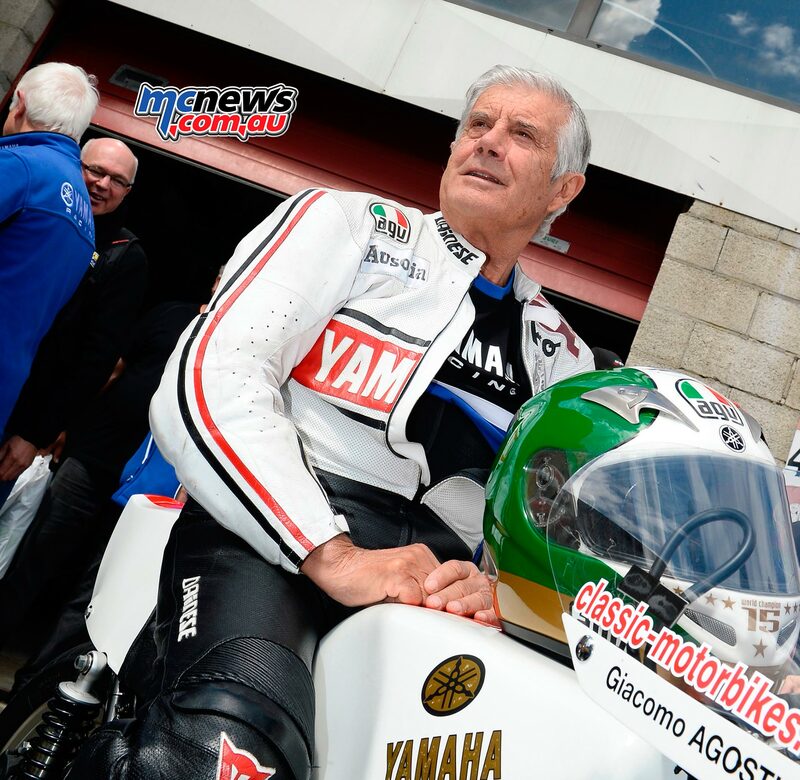 The show is the biggest attraction dedicated to iconic motorcycle models in Europe, with 30.000 visitors admiring more than forty years of Yamaha motorcycle racing history with the famous TZ models. 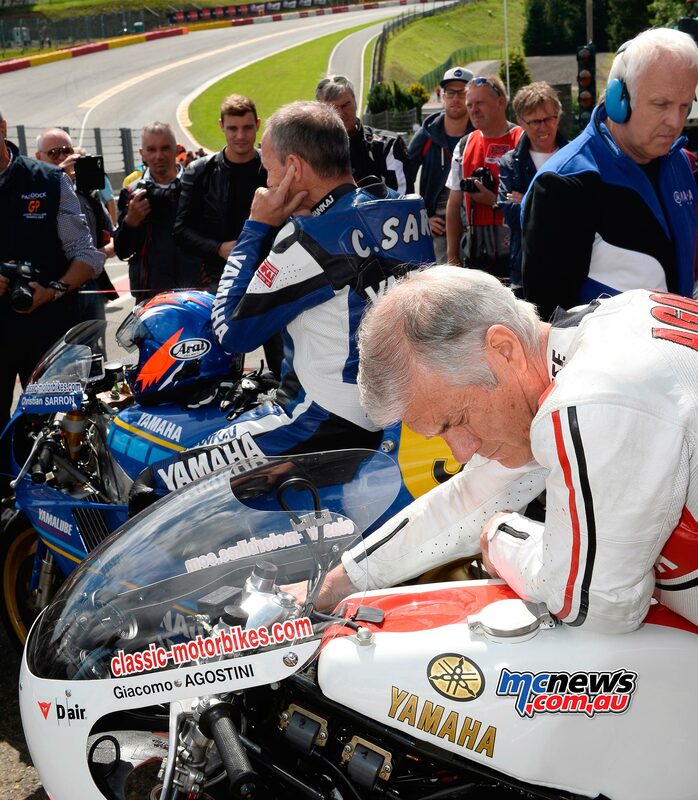 For this 14th edition of the Biker’s Classics Giacomo Agostini, Christian Sarron and Hubert Rigal were present on the track, but before taking to the track, the magnificent historical Yamaha machines were exhibited in front of the pit box to delight the spectators. 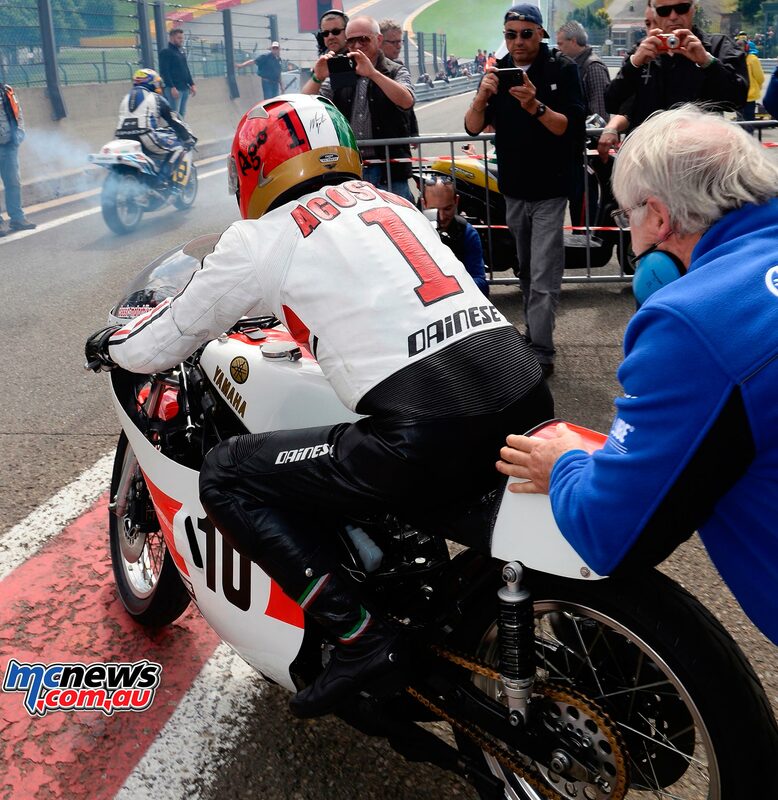 The show put on by Yamaha was not only aimed to commemorate the past, its goal was also to spark interest among the next generation and inform them on Yamaha’s racing heritage.